Money is one of the great human inventions. It is an idea that is so simple that we all know what it is but we find it hard to explain how it works. We are aware there is something wrong with money as it currently operates, but we don’t know what is wrong. If we can explain the money system better then we are more likely to see problems and address them. The following is NOT a redefinition of money or of the money system. 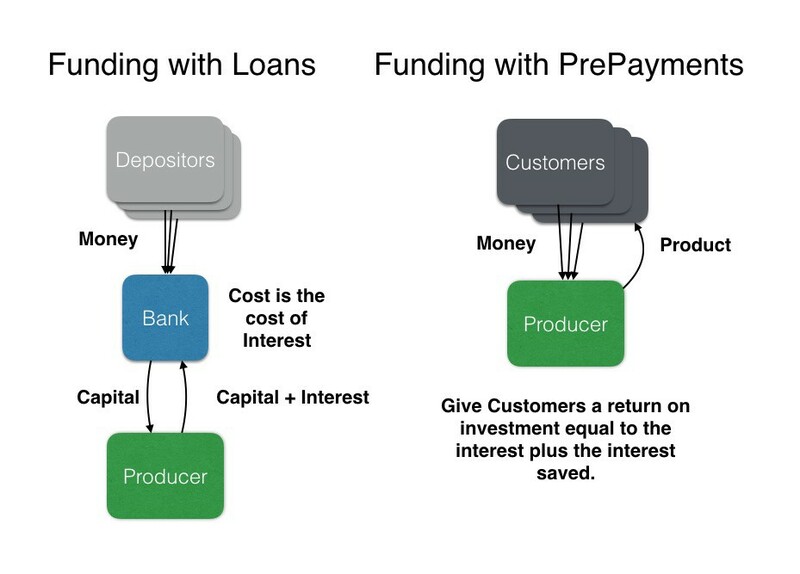 It is an explanation of how it works with a suggested mutation on the way we repay some loans to make the money system more efficient. To understand money better let us compare it to temperature. Temperature is a measure of heat. Money is a measure of value. We have agreed to use standard measures of temperature, and we call these standards Degrees Centigrade, Degrees Fahrenheit or Degrees Kelvin. We have agreed to use standard measures of money, and we call these standards US Dollars or Euros, etc..
We do not have many people agitating to fix temperature. Why does temperature as a measure of heat work better than money as a measure of value? Temperature works well because measuring heat is low cost, is reliable and we trust the values we receive. Measuring value with money tokens is high cost and unreliable, and we do not trust it to give a correct measure of value. We even have government policies that encourage the value of money to inflate year on year. We have government regulations, law enforcement and money markets that are complex opaque systems meant to give us confidence in the value of money. However, keeping trust in money as a measure of value now costs as much, if not more, than the cost of all the other goods and services we produce. At the moment money as a measure is inefficient, and it is unreliable. But, there is nothing wrong with money as a concept and idea. It is an extraordinary idea. It is how we have implemented it that is the problem. The problem with money is the way we create most of it. Governments creating money as cash or as loans works well. But, governments only create about 4% of the money in circulation. Others creating money do not do it nearly as well. We create money by making symbols or objects or tokens that represent value. The tokens represent value, but most tokens have no value. They are symbols. A coin represents a value that the coin receiver will give in exchange for the coin. An entry in a ledger represents money. A set of bits in a computer file represents money. Most money tokens do not have value and the less value they have, the more efficiently the tokens work. We stopped using gold and silver as money tokens because they were too costly to use and to create. Electronic currencies like bitcoin are expensive to operate because new bitcoins cost a lot to create. We could spend the energy and computational power on other goods and services rather than create new bitcoins and ensure the bitcoins are valid when used. The cost of money tokens above is obvious. With debt financing the cost of money tokens is the cost of interest. We have interest because we distribute most money creation to banks. When banks make a loan, they create new money tokens, and those new money tokens have a cost of interest. Banks do not lend existing money. They create new money tokens and deposit the tokens into deposit accounts. The money tokens banks create have different values depending on the likelihood of repayment. High-risk loans have high interest rates. In theory, the variation in interest should compensate for the variation in risk through the operation of money markets. Repaying a bank loan destroys the money tokens created so the system can automatically create enough money for the economy to operate efficiently and restrict the impact of non repayment of loans. Unfortunately, the system has turned out to be high cost and is wide open to manipulation and gaming. It creates too much money that in turn causes money and asset inflation. We can reduce costs by not creating new money tokens when we give loans to build new productive infrastructure. It turns out to be remarkably easy to do. Instead of paying back a loan with money tokens we pay back loans with goods and services. To give investors a return on their investment we give them more goods and services. Doing this removes the cost of interest which is now available to the investors or borrowers. In the current system when we make a loan of X we return X+I where I is the interest. With loans repaid with goods and services we make a loan of X and get back X value of goods and services. We have included the cost I in the price of the goods and services so we can give a return of goods and services of value X+I and still make the same profit on the loan. However, we have saved I in money tokens. We can give this to the lender or share it. If we give it to the lender in goods and services, the lender can receive a return on investment of 2I, or we can share the extra value I between the investor and the borrower. Loans, where we replace interest save the total cost of interest over the total loan. A $100,000 loan repaid in equal instalments over 30 years with an interest rate of 5% saves a total of $95,154. How the $95,154 is divided between the lender and the borrower is determined by the agreement on the loan where the loan is repaid with goods and services. The following table shows some possible ways the value saved can be shared for the above $100,000 loan. Note the numbers are value received and paid not money tokens and they are changes on the balance sheet and not the profit and loss. We do not replace all bank loans or debt with interest-free loans. We do not replace interest on loans made with existing loans. We need some debt to increase and adjust the money supply so money markets and debt must continue. However, the number and the cost of the money tokens are controlled, not by money markets, but by demand for money needed for interest-free loans. It means the demand for goods and services controls the demand for money. Reducing the cost of operating the money system by removing most of the cost of interest reduces the cost of goods and services and results in increased productivity of the whole economy. To see how to do it in practice visit Water Rewards and Affordable Housing.